Ty was wonderful to work with in finding a bilingual Chinese- and English-speaking nanny for our large family with very unique needs. With 3 kids in tennis, 2 sets of twins, and a busy high school-er, we definitely needed someone who could do it all. Ty found the perfect person on the first try while other agencies couldn’t produce a single resume! May is proactive, considerate, multi-talented, and incredibly hardworking. We couldn’t ask for more from an agency or from a nanny. 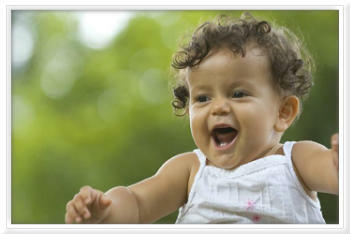 “As a first time mother the task of finding a wonderful nanny can be overwhelming. When my son was 11 months old I found out that the nanny I had hired myself without the help of a placement agency had been dishonest. This was shocking and scary! I immediately let the previous nanny go. Within one day I went from having someone I thought I trusted watch my child to zero childcare when I own and run a business. As you could imagine I was left feeling like I could never trust anyone to watch my child again and even questioned my own judgement. Feeling raw from the experience, but still needing to find a replacement to watch my little one part-time, I called all of the top agencies in town. I described what I was looking for and that it was important that I hired a nanny that was experienced with RIE parenting (a style of parenting I am passionate about). Nearly all of the agencies didn’t have a clue to what I was talking about. Nearly at my wits end, I found Ty at Rainbow Nannies during a late night Google search. I emailed Ty around 11pm and she emailed me right back. We spoke the next morning and for the first time I felt she understood me and what I was looking for. I am so relieved to say that Ty found the perfect nanny for us. And it was on the first interview. Our nanny Rina is bilingual, experienced with RIE parenting, and is without a doubt the most trustworthy nanny I could ask for. In the 6 months she has been with our family Rina never missed a day of work, never been even 1 minute late. She is always 5 minutes early, follows direction to the tee and is incredibly loving with my son. Whenever I mention Rina’s name to my son – his face lights up. 6 months ago I felt like I needed to install Drop Cams in every corner of our house. I am happy to say that I would now feel comfortable leaving for a weekend with my husband while Rina watched my son. Ty listened to my previous experience, allowed me to share my fears about using an agency. She set up a trail day with Rina, so that I could feel comfortable before committing. She supplied me with legal paperwork, a background check, up to date CPR certifications and TDAP vaccinations for Rina. I would highly recommend Rainbow Nannies. The benefit of using a boutique agency is that you get extra personalized attention and you are able to built trust faster with who is staffing your needs.